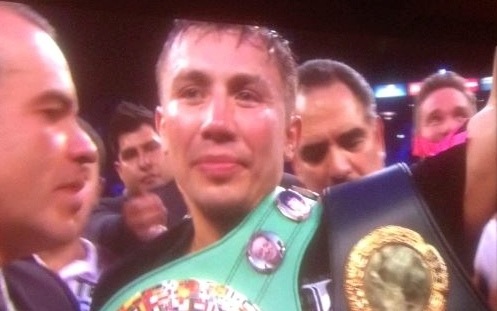 Golovkin Levels Rubio with a Left Hook in West Coast Debut! CARSON, CA, October, 18, 2014 — Boxing fans in Southern California were treated to a brief flash of boxing’s premier knockout star, Gennady Golovkin, as he walked through and demolished the normally durable Marco Antonio Rubio one minute into the second round. A hard left hook from Golovkin blinded Rubio, who never saw the follow up right uppercut that staggered him into the ropes defenseless, allowing Golovkin to put all of his body weight into the fight ending left hook that bounced off of Rubio’s temple, dumping him flat on his back. Rubio attempted to beat the count, but it was obvious he didn’t want to get hit like that again, as he rose slightly late and was counted out. 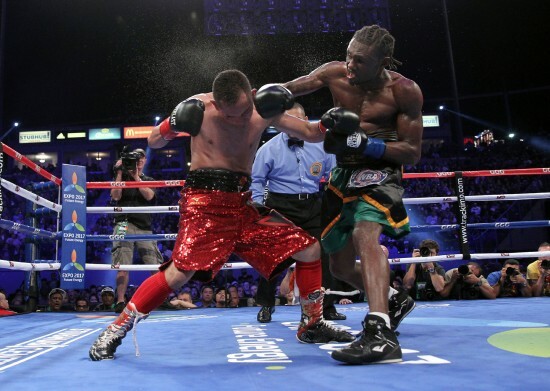 CARSON, October 18, 2014 – Nicholas Walters, at right, knocks out Nonito Donaire in the 6th round , Saturday at the StubHub Center in a bout for Walter’s World Boxing Association World Super Featherweight title. 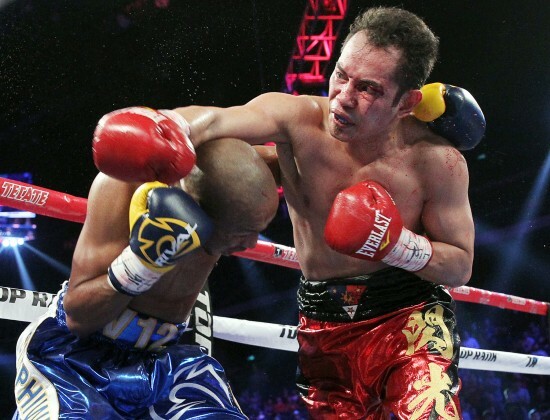 Donaire, Walters Ready for War Tomorrow! 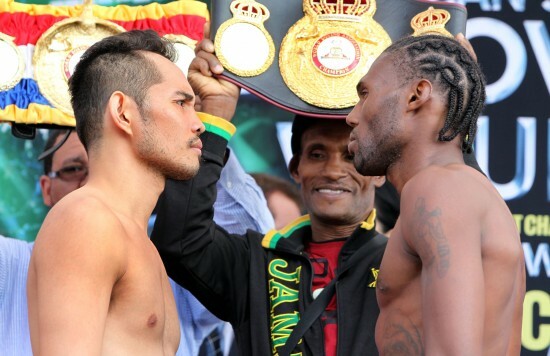 CARSON, CA, October 17, 2014 — WBA Super World Featherweight champion Nonito “Filipino Flash” Donaire and WBA Regular World Featherweight champion Nicholas Walters (pictured)of Jamaica weigh in (both fighters were 125.6 lbs) Friday for their upcoming WBA title unification bout, Saturday Oct. 18 at the StubHub Center in Carson, California on HBO World Championship Boxing. Promoted by K2 Promotions, GGG Promotions and Promociones Del Pueblo while Donaire vs. Walters is presented by Top Rank®. 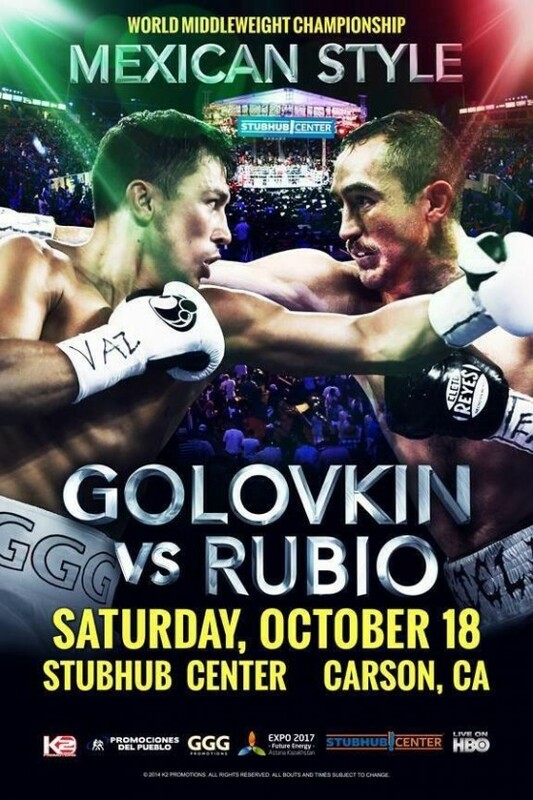 Additional Bleacher Seats Now Available for Golovkin-Rubio ‘Mexican Style’ Showdown on Saturday! LOS ANGELES, CA — Additional bleacher Seats went on sale yesterday for “Mexican Style”, the highly anticipated World Championship Boxing event set for This Saturday, October 18th at the StubHub Center in Carson, California.